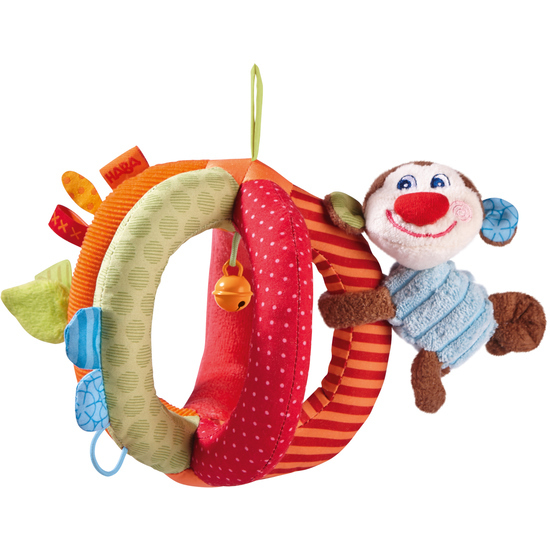 All babies love to play with Lino Lemur’s fabric ball as it is easy to grasp and hold; to toss or push off. The little bell tinkles so merrily, babies simply must crawl after it. And then, when pressed, Lino squeaks happily! Lino can be turned to sit inside of the ball, making it roll more smoothly.